Our organization is one of the prominent manufacturers and traders of Launch Scanners. The range offered by us includes Launch Car Scanner and Launch Automobiles Scanner. Our products are manufactured using superior quality raw material and advanced technology to remain in tandem with international standards & norms. Owing to their features like compact designs, high performance and longer functional life, these products are widely demanded by the customers. Numerous Additional Functions: Photo, video, multimedia, other software application,etc.One click update: You do not have to download software to memory card anymore, can do one click update directly through your machine. Performance / Speed: The X431MASTER is now a whole unit (permanently connected) means the communication time between Smart box and main unit is reduced. The X431MASTER has a new designed and cover made from high quality materials to stand in a new market. The X431MASTER has a new connector to replace all CAN Bus and OBD Connector called OBDII 16E connector. 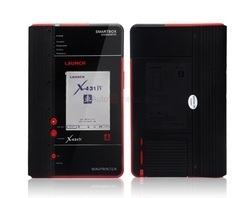 Introduction X-431 IV is an classic , economical, simple, stable and durable vehicle diagnostic tool newly released by LAUNCH, It follows the open operating platform of X-431 series, and it also inherits many advantages of LAUNCHs diagnostic technology including a wide coverage of vehicle models, powerful testing functions and accurate test data. Meanwhile , the unique rotatable diagnostic adaptor design is convenient for operation. Its a cost-effective diagnostic, product in the market. The side and bottom parts adpot rubber cover design and TPU material , for better protection of the product. Rubber cover design makes the product more industrial , suitable for use in garage.Integrated high speed thermal printer thermal printer is high speed , low noise , fine printed quality, convenient for paper replacement. Launch X-431 PRO3 Diesel is a new generation of significant truck fault diagnosing instrumentation developed by Yuan Zheng Technology for web applications. It communicates with X-431 PRO3 Bluetooth through the significant truck diagnostic module to understand multi-vehicle, system-wide serious truck fault designation, with the vehicle fault identification technology on the wide coverage, check operate, special options and check information correct and lots of different benefits. 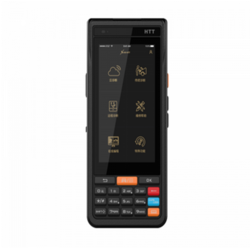 X-431 PRO3 diesel version additionally combines the benefits of mobile net applications, maintenance technicians will access info at any time, the installation of assorted applications of the net, to the upkeep technicians to bring additional convenience. Automotive diagnostic hardware designed in keeping with international standards, compatible with all the world’s diagnostic interface models. A new step by Launch tech co ltd in diagnostic equipment is the introduction of a very latest and affordable car scanner model x431 mini. though cost effective it features all the characteristics and features of a OEM scan tool in terms of vehicle coverage and diagnosis. it is very small in design with the connector placed in its body for safety. Launch x431 pad 4 diagnose vehicles made in , china, japan, asia , america, Europe covering both 12 v and 24 v commercial vehicle system worldwide covering more then 100 kind of modules. it supports euro 3 ,euro 4, euro 5, euro 6 standard model diagnosis. the scan tool can perform functions like read code, erase code, injector coding, special functions, calibration etc. 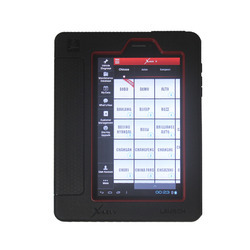 x431 pad 4 support remote diagnostics through cloud gateway, this make the technicians accessible to array of technical support, wiring diagrams, technical maintenance case study. the scan tool incorporates special reading of VIN number to identify the vehicle technical parameters and details at click, this also helps to record the diagnostic data in real time to the cloud and can be reviewed any time. this helps the user for faster and productive business. 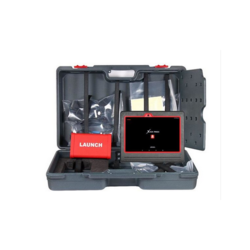 Launch x431 HTT is a professional technological invention by Launch for the automotive aftermarket diagnostics and it really is an meaningful diagnostic tool for workshop catering to 12v and 24v passenger and commercial vehicles respectively. this can tool uses large data storage of software using artificial intelligence analysis using laser technology along with NFC and hence provides a big volume of value added services at all times FAW-volkswagen, shanghai volkswagen,zhongtai,guangzhou baolong, guangzhou yangcheng, beijing jeep, beijing hyunda, dongfeng popular,dongfeng. Multi model automotive scanning: supports a number of passenger as well as commercial vehicles and scans them in realtime diagnostics with full updated software’s and powerful design. x431 htt supports cloud bases scanning with the help of image recognition, laser scanning , NFC protocols using artificial intelligence along with huge stored data for rapid diagnostics action. Due to it artificial intelligence features and cloud base technology it enables the user to use remote diagnosis, by phones, tablets, computers etc. Few special tasks performed by x431htt are engine check lite reset, brake reset, throttle coding,injector coding, battery matching, tpms reset, ABS reset, SRS reset, DPF regeneration , actuation and adaptation etc. Most powerful functions supported by x431htt are online coding/ programming support for Mercedes-Benz, BMW, GM,FORD and many more. these feature is only available on OEM scan tools. Along with the array of features and diagnostics advantages the scan tool also helps the uses with wiring diagram,fault definition, technical manuals from its database which helps the user to repair the vehicle faster and efficiently. The scan tool can also be used as a communication deice for group calling etc. Comes with latest android operatic system, built in GPS, 4G networ for more intelligent diagnosis. Front screen is a 5 inches color OLED touch screen with physical key pad, with larger viewing angle the display is readable even in sunlight. The scan tool meets the military grade ip65 standard technology which makes it dust proof, water proof, and anti drop proof. New industrial design made with thermoplast elastomer flat line which has avery high elasticity, resilience, non toxic,soft, perfectly shaped to fit hands. plug and play device for diagnostics without human interference. when the diagnosis is complete it generates a report which is uploaded to the cloud through wechat , which the user can see after online payment and get necessary assistance. 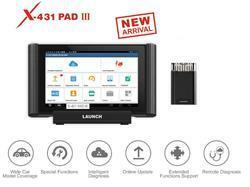 LAUNCH X431 PAD3 is the new technological advancement in multi vehicle diagnostics which is achived by Launch by applying years and years of experience in making x431 scan tools. 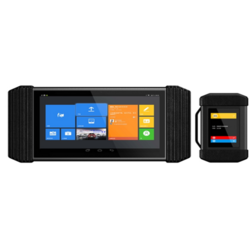 X431 pad3 is made with all ingredients of its x431 predeccors along with latest technology based on cloud sytem diagnsotics and artificial intelligiance on android platform. Launch has put all its expertise and years of experience in making this device a market leader in a very short period. This is the reason now any workshop in the world is talking about this device and are planing to buy it. Can do cloud based diagnsotics including online coding programming for BENZ, BMW, FORD,GM and also help in guided diagnostics for VW cars. Also it can perform following functions very very effectively. • Immobilizer trouble code reading. • Service light reset for BMW, AUDI, Benz, VW, Skoda and many more. It can diagnose, scan , code all kinds and make of cars vailable in the international market and can perform all ficntions like OE tool. 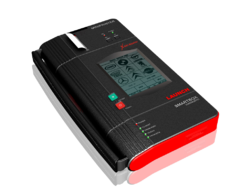 The Launch X431 4 is the latest pioneering car diagnostic tool from Launch Tech UK and is expected to take the diagnostic world by storm. Using customer feedback and sophisticated new technology developed by their engineers, Launch have developed one of the most powerful and effective car diagnostic tools available on the market today. 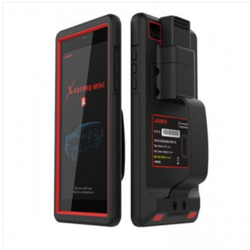 Updating your diagnostics unit has never been easier with the X431 4 which offers one-click updates via its built in Wi-Fi or LAN connection. With specific software for 42 vehicle manufacturers, it is one of the most versatile tools around. The X431 4has all the key OE level functionality which you would expect from a Launch diagnostics tool including: Vehicle VIN and ECU recognition DPF status and regeneration Engine ECU initialisation O.E. retrofit coding SRS crash data, resetting and configuration Read/clear fault codes View live diagnostics data stream in numerical or graph format Carry out advanced ECU functions Print out diagnostic reports using the built-in thermal printer Two year warranty from Launch and many more! Technical.